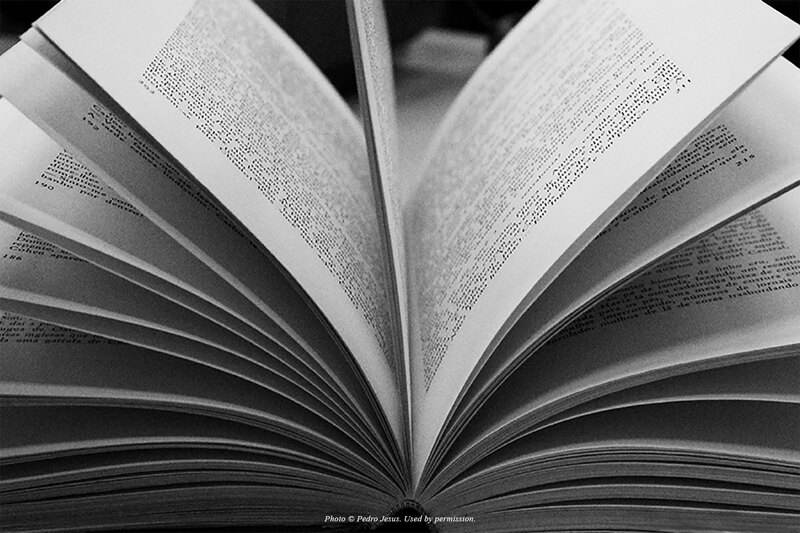 The other day, as I was browsing my cookbook shelf, looking for something that didn’t actually require cooking, it occurred to me that I have a lot of cookbooks that deserve a review. 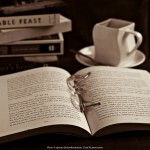 I’m a big fan of cookbooks — I like serious, gourmet cookbooks, ethnic cookbooks, theme cookbooks — all kinds of cookbooks! 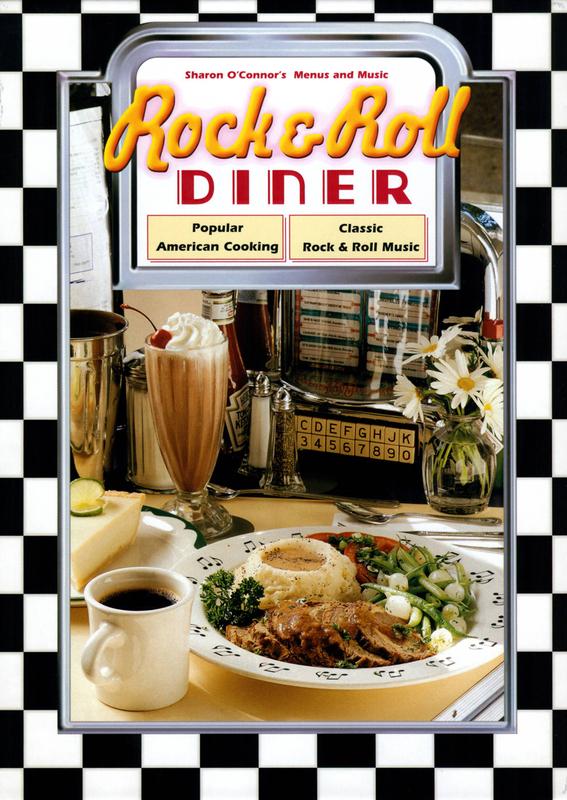 Rock & Roll Diner (Menus and Music) is an older book (1996), but diner food is always in style. The cookbook came as a box set with diner music! Mustang Sally, Blueberry Hill, and Where Did Our Love Go? all remind me of those little jukeboxes you find on diner tables. The only problem: it’s a cassette tape. I don’t even own a tape player anymore! O’Connor provides a cute introductory section. There are sections on the history of the diner, descriptions of formica and blue plate specials and a glossary of diner terms. Some of them are familiar (Adam and Eve on a raft), but others were new to me (like biddy board and splash of red noise). There are little biographies of the featured diners and a lot of regional features. The recipes are a mix of classic diner food and some things I have never seen on a diner menu. There are at least 6 meatloaf recipes, pot roast and pie! Key lime pie, peanut butter pie, pecan pie, buttermilk pie…and when I think of diners, I think of pie. There are also some oddball things. I mean, I’ve seen liver and onions on menus, but never Calves’ Liver with Cream and Blueberries (Empire Diner, New York, NY). Although they sound very tasty, Pumpkin-Ginger Flan (The Diner, Yountville, CA) and Creme Brulee (The Corvette Diner, San Diego, CA) are not what I think of as diner food. Maybe it’s a California thing. I definitely plan to try the Lemon Bars (Bette’s Oceanview Diner, Berkeley, CA) and the Portuguese Kale Soup and French Meat Pie (4th Street Diner, Newport, RI) – a savory, rather than a sweet. And one morning soon, Gingerbread Pancakes (Jigger’s Diner, East Greenwich, RI) will be on the breakfast table. I only wish I had a tape player, so I could check out the diner music while I cook. 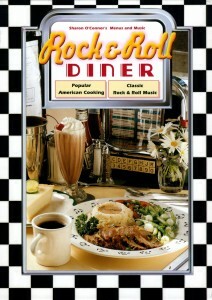 My copy of Rock & Roll Diner (Menus and Music) was purchased for $6.00 at the NOBS Antiquarian Book Fair. An excellent investment! Sounds like a fun cookbook! I want to know if you found anything that didn’t require cooking when you were looking through those cookbooks. I found some salads and things, but I ended up going back to this old standard: The Minimalist – 101 Simple Meals Ready in 10 Minutes or Less. I printed this out from the NYT website a few years ago and I use it all the time. Most of the suggestions are wonderful, quick, and require minimal cooking.